What Would a Muslim Say: Conversations, Questions, and Answers about Islam | What Would A Muslim Say? There are many books that teach Islam, preach it, criticize it, or academically explain it. The focus of this book is different. 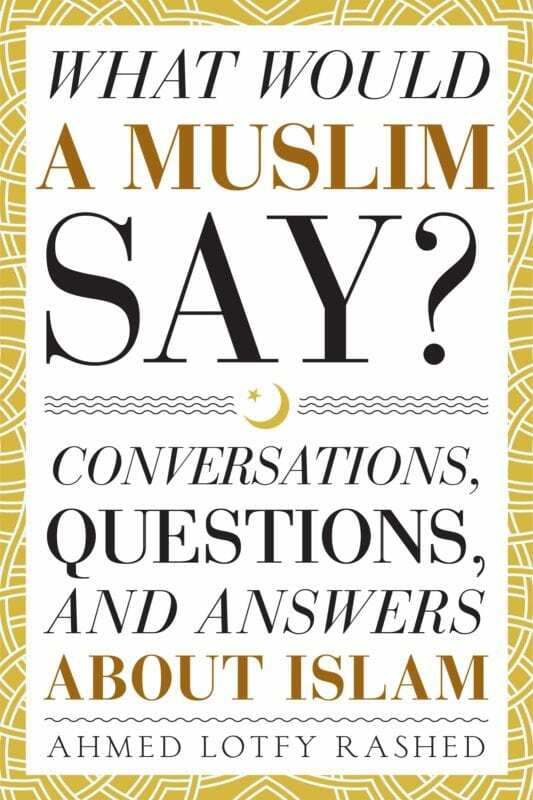 This book is a compilation of actual conversation transcripts, showcasing everyday people asking real questions and getting real answers about Islam. What Would a Muslim Say is a series of books documenting my experiences as an interfaith volunteer. Ever since 2009, I have facilitated dialogue with many different people, answering questions about Islam and addressing misconceptions. This is the first book in the series. My hope is that this can be a small step towards better understanding and harmony. The conversations in these books are real. Some are curious, some are concerned, some are hostile, some are academic, and some are soul-searching. The purpose of this book is to share these kinds of conversations with people who might otherwise not have the opportunity to speak to a Muslim about Islam. These are timely books. There are many questions, fears, and misconceptions about Islam and Muslims. These books can answer questions, build bridges, and promote understanding. "I think people afraid of Muslims because they didn't know them. They not understand them, especially now when so many terrible labels put on them. To find out more about Muslims, I attended Islam 101 course in Cambridge mosque. My teacher was Ahmed Rashed. We spend with him a lot of time to go through the Qur'an. After that, I started to understand Muslims much better. Now Ahmed wrote a book, What Would a Muslim Say: Conversations, Questions, and Answers About Islam. I think conversations with populations that do not know Muslims are very important: it will open their eyes." "Reading "What Would a Muslim Say?" felt like taking a journey in the minds and hearts of people and what they feel and think about Islam and Muslims. The questions are honest and reflect the thirst that people have to understand and explore what Islam is about. Ahmed Rashed remained focused in his answers even when it got really tough or emotional. He kept the answers balanced as they were also honest and spoke to the level of the person asking the questions with no judgement and with extreme patience, representing what Islam stands for and what good Muslims are like. A great and diverse read that you would surely enjoy."